Ever watch a movie, and despite great production value, fantastic action sequences, a great cast, etc, you come away thinking-I just didn't buy it. Chances are it was because you didn't care about the characters. Screenwriter's Compass presents a new way of approaching screenwriting, examining how effective screen storytelling must be grounded in the vivid imagining and presentation of character. Screenwriter's Compass will not offer formulas to follow but instead will give you the tools needed to chart your own path to screenwriting success. It details useful ways of thinking about writing, as well as practical ideas and concepts to help you discover the unique geography of your own imagination and navigate the problems posed by the struggle to express vision, agenda, and story. You'll learn how to root your writing in motivation and voice, to create screenplays that seduce and make your reader lean forward, and, most importantly, identify with your characters. Guy Gallo's first produced screenplay (Under the Volcano) was directed by John Huston and released in 1984. Since then he has written over a dozen feature screenplays, with four others produced. He has over 20 years of teaching experience at the Columbia University's School of the Arts, New York University, and Barnard College, his students including James Mangold (Girl Interrupted, 3:10 to Yuma, Walk the Line), and Greg Mottola (Superbad, Adventureland). 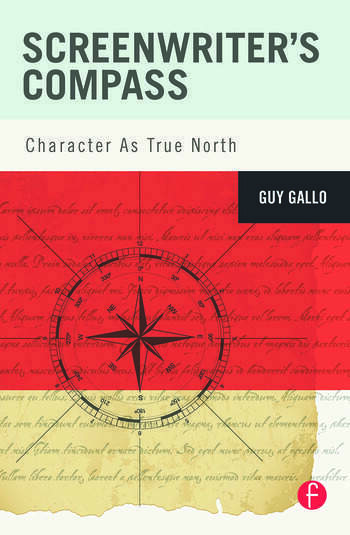 "For those of you who are completely new to screenwriting, Gallo goes into all the stuff you’ll need to know, including all the basics like proper formatting, outlines, treatments, etc." "Once more, he harmonizes feedback with motivation. Personally, as an aspiring screenwriter, Gallo’s explanation of the revision process (usually the hardest part of doing a script) was the most telling. And, by the end, it’s his appreciation for all cinema and obvious experience—not verbose examinations into Greek philosophers—that separates his work from other how-to books." "While it goes over things from a screen play perspective, and all that is, is a really well done story for the screen…this can be used for writing novels, short stories and even stage plays, or the techniques can even work in a comic book script as well."